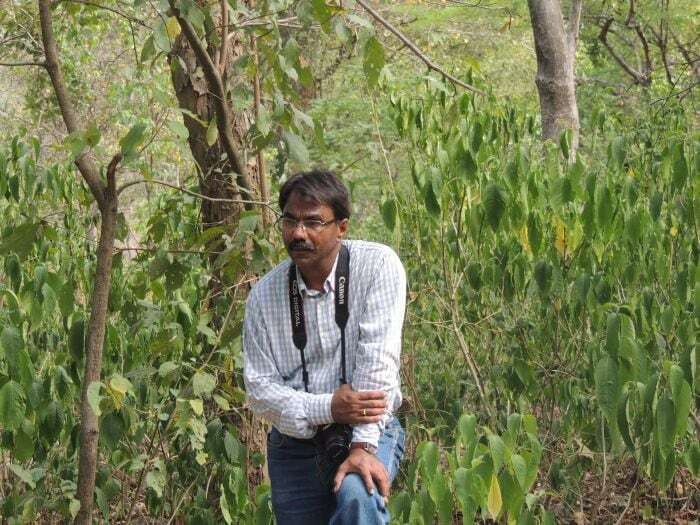 Gopal Singh Karki from Assistant Conservator of Forests (ACF), Ramnagar Forest Division, Uttarakhand: The Ramnagar forest is not a designated Protected Area. It is a ‘multiple-use' reserve forest, but is incredibly rich in biodiversity. The 2010 Wildlife Institute of India-National Tiger Conservation Authority estimation established a tiger density of 14/100 sq km here, far greater than many tiger reserves. With an equally high number of other predators like leopards, bears. With many villages in the area, the human-wildlife conflict here is high, and growing. Occasionally, conflict escalates into tragic human fatality, largely with leopards and tigers. G S Karki handles these volatile situations with grit and grace! He has served in the forest department as a range officer for 18 years, and then as an ACF from 2000. He has faced the brunt of angry villagers, and was even brutally beaten up by them in 2013 in a leopard conflict case in Kalagarh. But he refuses to abandon his staff. With his natural empathy, and the fact that he is an 'accessible', down-to-earth, honest officer, the villagers know and trust him. G S Karki's biggest contribution has been to get the system oriented towards wildlife protection, rare in a reserve forest.